Congressman Mica's proposed bill would separate the highly trafficked Northeast Corridor from Amtrak and give ownership to the Department of Transportation. Photo by Professor Bop. Two U.S. Congressmen want to bring competitive bidding and private sector involvement into building new high-speed rail for the country. The bill proposed by Rep. John Mica (R-Fla.), the chairman of the Transportation and Infrastructure Committee, and Rep. Bill Schuster (R-Pa.), chairman of the Railroads, Pipelines and Hazardous Materials Subcommittee, would open the development of a high-speed service for the Northeast Corridor (NEC) to public-private partnerships. The plan includes separating and transferring the NEC from Amtrak to the Department of Transportation to create competition for high-speed and intercity passenger-rail services and infrastructure contracts. In addition to cutting taxpayer subsidies and giving states greater control over intercity rail services, the bill will also open up other Amtrak long-distance money-losing routes to competition, and allow the private sector the opportunity to bid on any intercity route, according to this press release. “Both around the world and right here in the United States we have seen that competition works,” Shuster explained. Joseph Boardman, CEO of Amtrak, is doubtful that transferring the ownership of the NEC to the Department of Transportation will be in the best interest of transport. “Any plan for transforming the Northeast Corridor (NEC) must make transportation the centerpiece of the effort,” Boardman said. On a similar note, Rep. John Carney (D-Del.) supported private investments for the NEC but opposed selling off Amtrak’s most valuable public asset to private bidders. “Amtrak is best-equipped to modernize passenger rail service quickly and efficiently, as it is already working to do,” he added. Hesitation was not only at the state level. U.S. Transportation Secretary Ray LaHood demonstrated some uncertainty on privatizing the NEC as well. 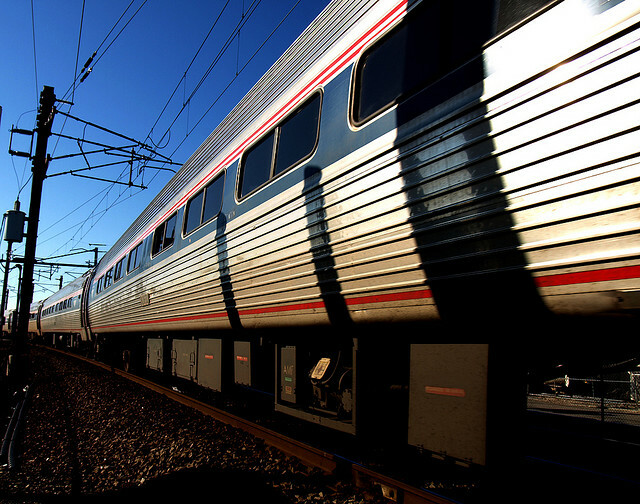 “The administration has serious concerns about any proposal to privatize Amtrak’s Northeast Corridor,” LaHood said. In the meantime, President Obama’s high-speed rail initiative has been gaining ground with urban decisionmakers. At the U.S. Conference of Mayors in Baltimore this past weekend, the President’s plan to connect 80 percent of Americans to high-speed rail in the next 25 years gained approval from the nation’s mayors. The plan would dedicate $53 billion in high-speed rail investment in the next six years to support high-speed rail infrastructure. “Our investment in high-speed rail will be significant,” Secretary LaHood explained. “But the cost of expanding roads and airports to accommodate a rapidly growing population over the coming decades will be even more costly, and it won’t solve the problem,” he added. 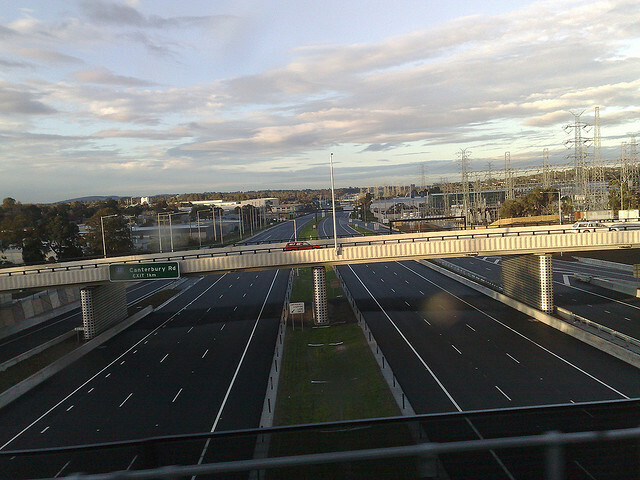 Melbourne's Eastlink tollway was funded by a public-private partnership. by Gavin Anderson. Budget constraints, aging infrastructure, financing gaps and the availability of private capital are forces that bring public-private partnerships to the foreground in the United States, says a study by David Czerwinski of San Jose State University and R. Richard Geddes of Cornell University. The study was funded by the Mineta Transportation Institute (MTI), for which Congressman Mica serves as an honorary co-chair. MTI is a University Transportation Center sponsored by the U.S. Department of Transportation’s Research and Innovative Technology Administration and by Caltrans. The study looks at Australia’s experience with transportation public-private partnerships and the lessons it holds for the United States. Although the study focuses primarily on funding construction projects like bridges, tunnels and toll ways, the research offers important advice on how to allocate risks between public and private partners, in addition to strategies to control market power. Maintain a long-term working relationship with private partners. Contract closing does not mark the end of the relationship. In fact, it is the beginning of a partnership that will include large and small contract renegotiations. Public sponsors must enhance their own expertise with public private partnerships and consult with outside experts in order to effectively negotiate complex contracts with experienced private partners. Key performance indicators that carry financial penalties and rewards are important to maintaining and operating high-quality service. Concession lengths should be used strategically as a policy tool. Longer concessions may make it easier for private sector to raise capital and lead to favorable tax treatment, but they reduce flexibility for the public sector and reduce opportunities to inject competition. Create public “special purpose entities” to deal with the bidding process and initial contractual negotiations. The study cites Australian states as having successfully used government-created special purpose entities to deal with the early stages of these contracts. Upon contract closing, the ongoing administration can then be turned over to a government authority. Based on these findings, the study offers three policy recommendations. First, plan for a long-term partnership, which is proven to assist “with the process of adjusting the contract to address change conditions.” The study also recommends investing in significant public-sector expertise and focusing on enforceable performance-based contracts. The Bipartisan Policy Center’s new report, “Performance Driven: Achieving Wiser Investment in Transportation,” is also calling for leveraging private funding, in addition to state and local sources, to supplement constrained federal resources. Recognizing the current political and fiscal environment in which expanding federal expenditures for transportation is increasingly difficult, the Bipartisan Policy Center’s National Transportation Policy Project put together a performance-based reform proposal for federal transportation investments. “It is arguably more important than ever to ensure that all federal resources directed to transportation—albeit never enough to keep pace with the nation’s vast and growing transportation needs—are invested wisely,” the program says. The report aims to reform, consolidate and scale the federal transportation program to maximize progress toward a set of clear national objectives, within a budget constrained by existing revenue levels. To accomplish this, the NTPP focuses on two immediate steps: to restructure the existing federal surface transportation program to be more performance-driven and to better leverage non-federal resources. The key legislative recommendations include eliminating programs that lack a specific national purpose and streamlining more than 100 programs by either consolidation or elimination into 10 core programs. Of the programs suggested to be eliminated by the NTPP are High Priority Projects and Transportation Improvements, and the Appalachian Development Highway System. The report also recommends incentivizing investments that are able to leverage non-federal resources and rewarding states and metropolitan regions that secure sustainable revenues. Reducing restrictions, regulations and barriers to non-federal investments in transportation are also listed in the report’s key recommendations. What has been your country’s experience with public-private partnerships for transport? Share with us in the comments section.